College recruiting focuses on big men who can dribble, shoot and move well defensively to fit today's game. As the sport has shifted to a more up-tempo, free-flowing style, college coaches have sought big men who can dribble, shoot places other than at the rim and move defensively instead of anchoring in the paint. Back to the basket ability has become a bonus. College basketball still has a handful of centers who play mostly on the low post, but the majority are athletic players who can shoot from the perimeter — or at least midrange — and handle the ball without it getting it snatched by smaller guards. Basketball has become more of a position-less game, with every player on the floor able to play and guard multiple positions. The Golden State Warriors helped change the NBA with their freewheeling, everyone-can-shoot-it style and the college game has followed. Spacing is key in today’s offenses, so every player, including the big man, must have the agility to make it work. Even if they can’t shoot 3-pointers, big men must at least be able to handle the ball on the perimeter and be athletic enough to get to the rim on ball screens. Even if a team doesn’t follow the latest trend of wanting to play faster, it still has to have the players to stop teams that do. Today’s big men need lateral movement and quickness to accommodate the switching required to stop the free-flowing offenses. Get a big man who doesn’t move well and opponents will ball screen your team into oblivion because he can’t rotate quick enough. “If there are teams not playing fast offensively, they certainly need a big to get back in transition defense because a majority of your opponents are going to play it’s somewhat of a quicker pace than was maybe being played 10 or 15 years ago,” Musselman said. Nearly all of the nation’s top teams have athletic big men who can move and shoot. 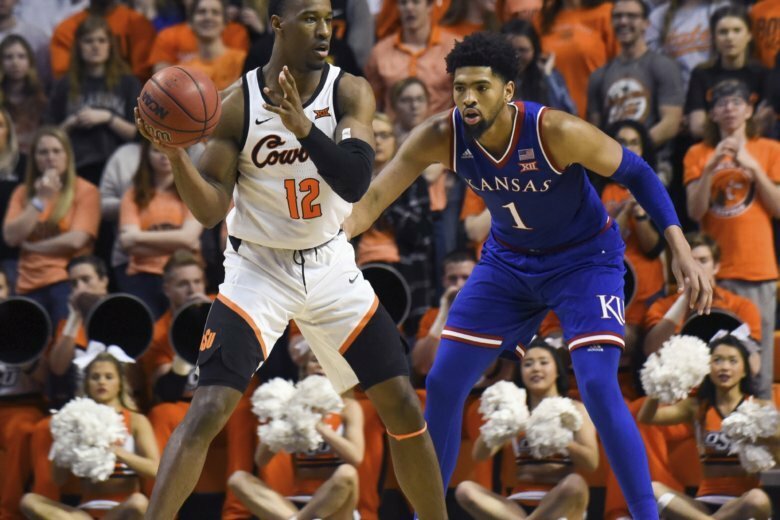 Dedric Lawson can play multiple positions and hit 3-pointers for No. 15 Kansas. No. 4 Kentucky’s PJ Washington has expanded his game, becoming a perimeter threat while being active enough to guard nearly anyone. Top-ranked Gonzaga’s big man, Brandon Clarke, isn’t much of a 3-point shooter, but he’s agile and active, can handle the ball without being pickpocketed every time and is a superb shot blocker. Montell McRae and Nick Perkins, the two big men for No. 21 Buffalo, can both shoot the 3 and give the Bulls the spacing they need. Those are the current success stories. Coaches are always looking for more like them for their next recruiting classes — and the players know. They see what’s happening in college and the NBA and prepare for it. Big kids who used just plop in the middle of the lane and shoot over smaller kids now practice their ball handling skills and shooting. High school and AAU coaches help the process as well, no longer restricting them to under-the-basket duty, allowing them to work on skills that used to be limited to guards and small forwards. Big men come prepackaged, to a certain degree. And that’s just what college coaches are looking for.